Lifehacksg#20 - Krisflyer... or not? LOBANG [Singlish]: meaning "Hole"; aka "tips". Prudent lifehacking recommendations at your fingertips! Most people are buzzing about cheap airfares and promotions provided by low-cost carriers these days. If you have not already jumped on that bandwagon, you should definitely check out Jetstar's unique booking features we covered in Lifehacksg#7. But for today's lifehack, we will put you ahead of the crowd in being airfare-savvy. We decided to delve even deeper into what these airline 'promotions' and frequent flyer programs entail. Specifically, we will scrutinize the frequent flyer program which most people based in Singapore are part of – Singapore Airlines Krisflyer. For most of us who grew up in this country, Singapore airlines has been known to be the flagship carrier of this entire nation. Famous for its excellent service and extremely posh premium-services, we can comfortably assume that it is one national icon we are all pretty proud of. This sense of power and pride manifests itself in a little card which sits in all our wallets – the Krisflyer frequent flier card. We hate to admit that we have fallen prey to this card for years, but a recent epiphany made us realize that it has been a very big mistake. 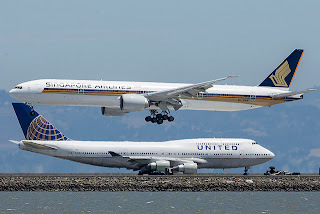 This post is derived from well-grounded research by expert analysis from the wonderful world wide web, based on a comparison between Krisflyer (Singapore Airlines) and Mileage Plus (United Airlines). We figured that since these folks have already done so much of the work, we will not reinvent the wheel and will instead report the facts as they are. According to a very comprehensive analysis here, one of the biggest pain points of redeeming miles via Krisflyer is the amount of taxes/fees involved, and the table below can speak for itself. 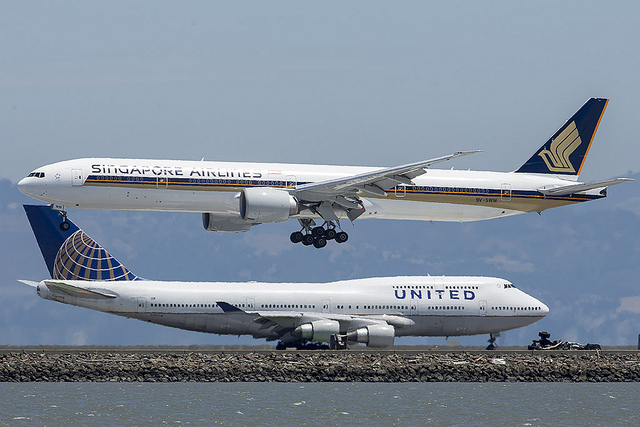 While these numbers may be from 2012, sources tell us that as recent as September 2013, a roundtrip San Francisco-Singapore flight on United miles merely costs an additional USD61.90 in taxes/fees. The same route on Krisflyer miles today will set you back 10x the cost due to an exorbitant USD630.59 in taxes/fees. There are plenty of other benefits to compare, including free upgrades, bonus mileage, award booking discount etc., but for the purposes of this Lifehacksg post, we simply want to focus on the exorbitant Krisflyer taxes/fees compared to United, which really make the Krisflyer program look a lot less attractive. The >$500 you will save can definitely go into additional shopping/food budget on your travels. Here's the scoop to have your cake and eat it too: If you want to redeem miles with low taxes and fly in the comfort of Singapore Airlines, the Mileage Plus program will still work for you. Not only can you accrue Mileage Plus miles while flying Singapore Airlines as both are members of the Star Alliance, you will also be able to redeem your Mileage Plus miles on SQ flights (under "Partner Flights") if they are available. P.S. This is a comparison only between KRISFLYER and MILEAGE PLUS. "Many a little makes a mickle." In this page I hope to share lifehacking tips with you to increase convenience and savings opportunities in Singapore! Lifehacksg#21 - Save on Suits?